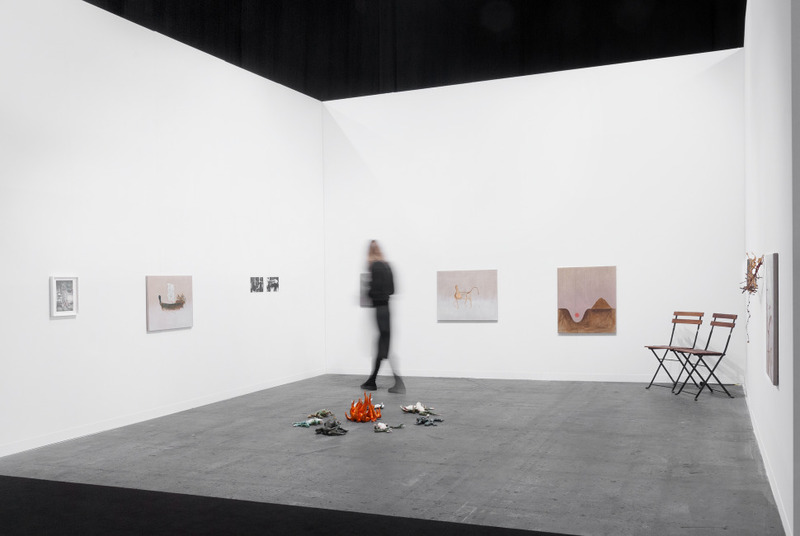 Our presentation for artgenève combines the works of Gwenn Thomas (*1944, lives and works in New York), Kazuko Miyamoto (*1942, lives and works in New York), Nschotschi Haslinger (*1982, lives and works in Berlin) and Paul Sochacki (*1983, lives and works in Berlin). 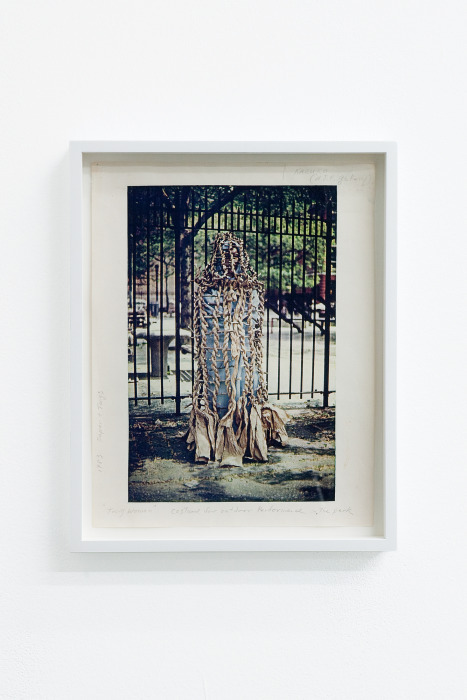 Beginning with the two photographs by Gwenn Thomas, all featured artworks investigate the relevance and importance of inter-individual engagement and co-dependency. 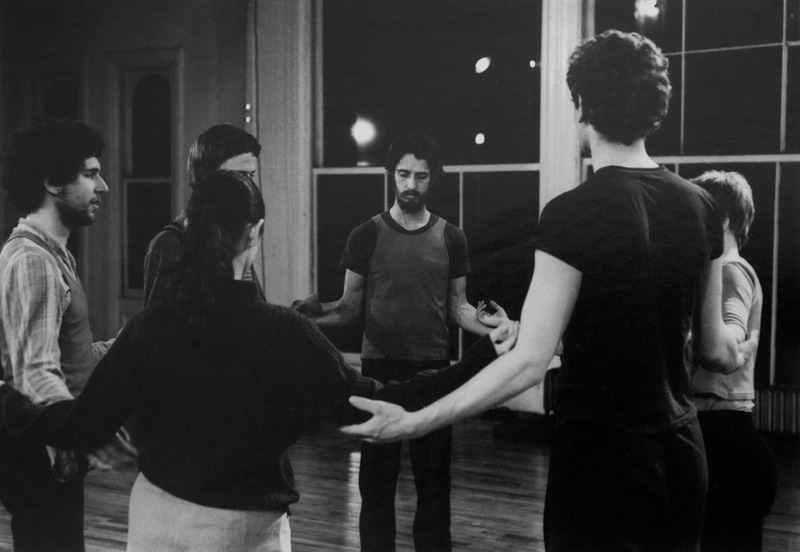 Gwenn Thomas’ photographs were taken in April 1975 at The Kitchen in New York and show experimental dancer and choreographer Steve Paxton and Group performing Contact Improvisation. 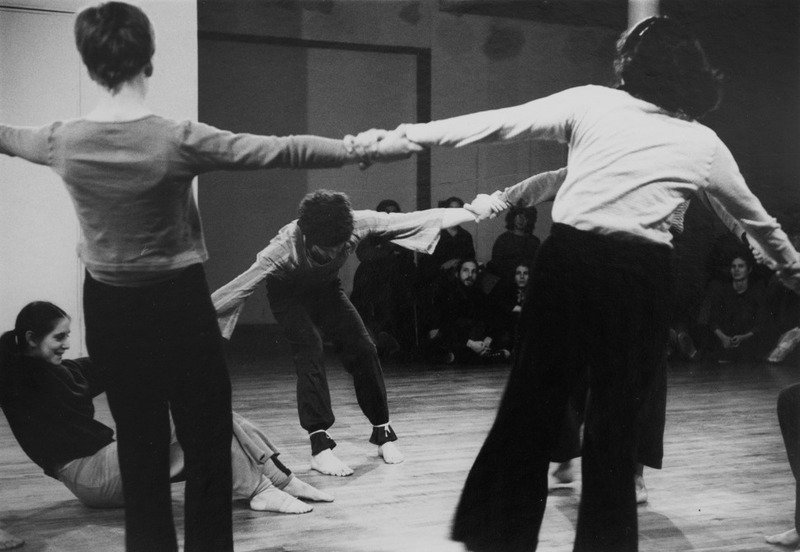 Beginning in 1972, Paxton developed this practice based on the idea of collectively-experienced physical interconnectivity. Termed Contact Improvisation, this choreographic process pulls elements from martial arts, social dance, sports, and child’s play together to a new form of movement and physical interaction. Upon entering a Contact Improvisation structure, bodies must come together, give weight equally to each other, and create a movement dialog that can last for an undetermined amount of time. Contact Improvisation can be done by any person not just professional dancers because the emergence of a movement vocabulary depends on a specific touch and the initiation of weight exchange with another person. 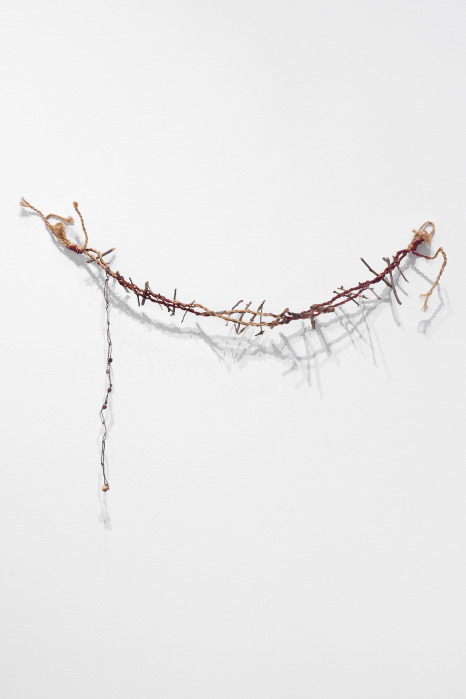 A piece of string, as a connector between two points, has been prominent in the work of Kazuko Miyamoto since her earliest string construction pieces in 1972. These iconic strings constructions follow a minimalist logic of drawing, in which each string becomes a spatial line between two points. 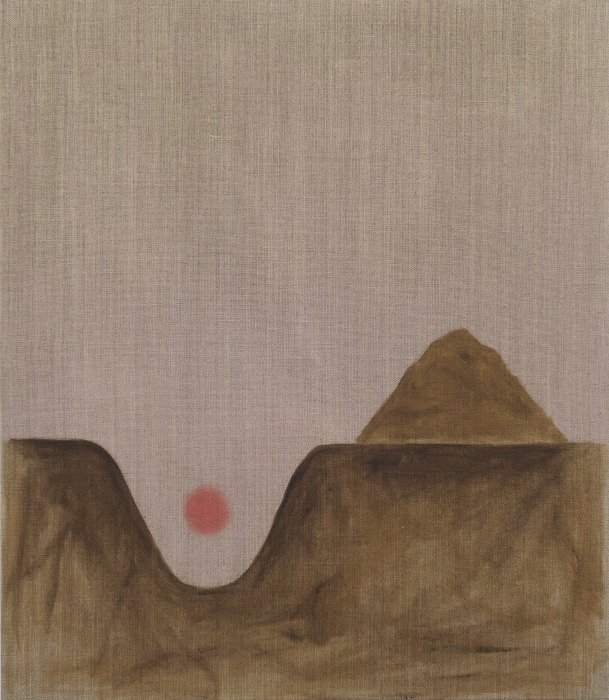 In her later works this formal approach becomes more freely-adapted and organic, with the artist stating the birth of her son in 1980 as a turning point towards this more fluid and organic practice. Industrial string now turns to rope made from natural materials, often intertwined with other natural materials such as twigs or stones. The shapes no longer follow the logic of a straight line but are free in their individual form, expression and relation to one another. Often these structures take the form of bridges, in which the intertwined, almost woven structure becomes the connector between two points. The allegorical paintings of Paul Sochacki poetically describe the status quo as experienced and reflected upon by the artist. 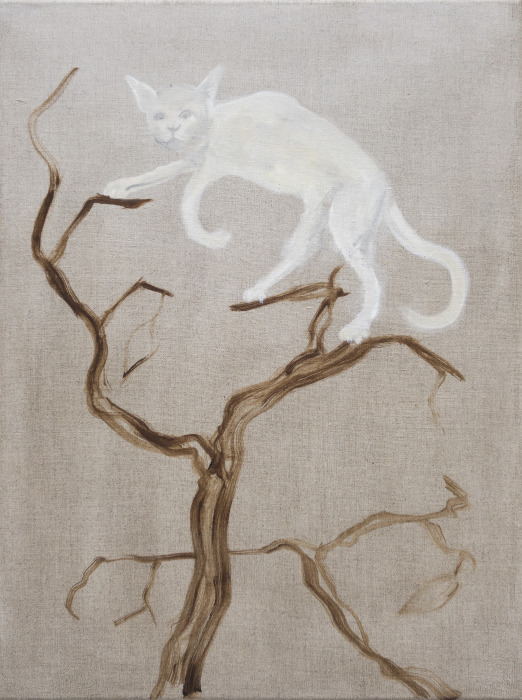 Often his works appear as fables or even visual haikus describing in quickly-rendered but at time painfully precise paintings experienced states in our contemporary world: a cat delicately balances in a treetop, seemingly dictating the treetop’s branches; a mythical beast has a heart of fire, yet it’s tail drips water allowing for a small seedling to grow. Entitled Fire department this work could well be an allegory of the urgency for socio-political action, despite the minute results that can be achieved. Finally, today’s sunset finds itself trapped in a cave. Sochacki’s poignant reflections remind quite painfully precise of the situation any individual faces within the alienation of the capital-fuelled anthropocene. 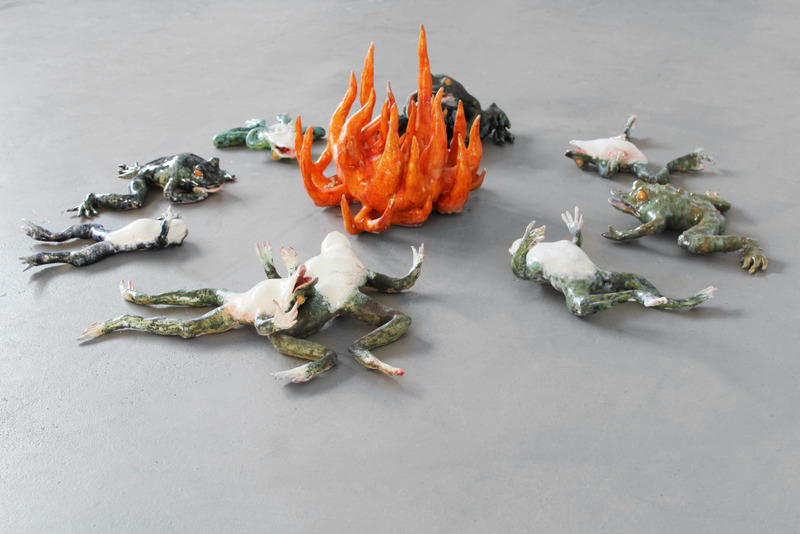 In Nschtoschi Haslinger’s ceramic installation entitled Unkentreff ten toads gather around a campfire. In various global cultures toads play a specific mythical, medicinal or spiritual role. In biblical times the occurrence of toads raining from the sky was seen as a prophetic prediction, while in medieval times toads were compared to the female womb and often offered as religious sacrifice against infertility. Then again, if rubbed correctly, the cane toad can produce an LSD-like toxin used for psychedelic stimulation. Haslinger references these escapist strategies as analogies for her own production. 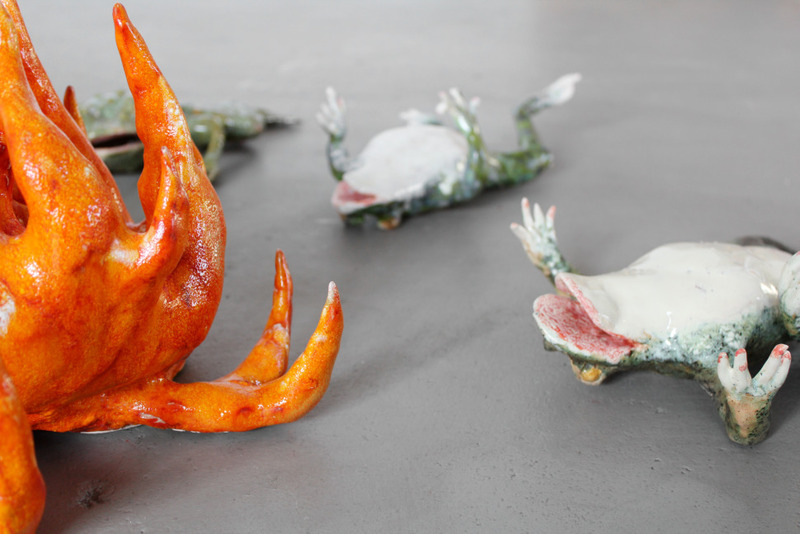 Beginning with drawings, her ceramics are metaphors for experienced emotional states. The majority of Haslinger’s toads appear laying on their backs, either overdosed or dead pointing to a dystopian time, or a ritual going fatally wrong. 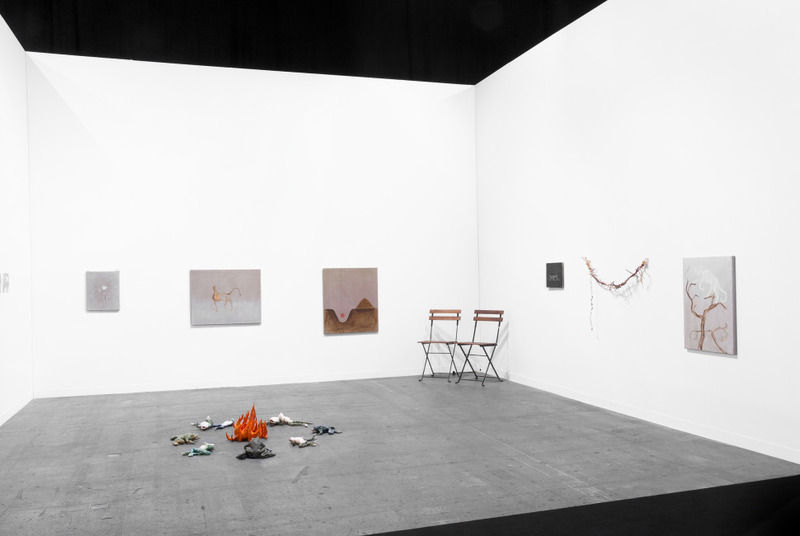 The ten artworks on the walls surround ten frogs surrounding a campfire. 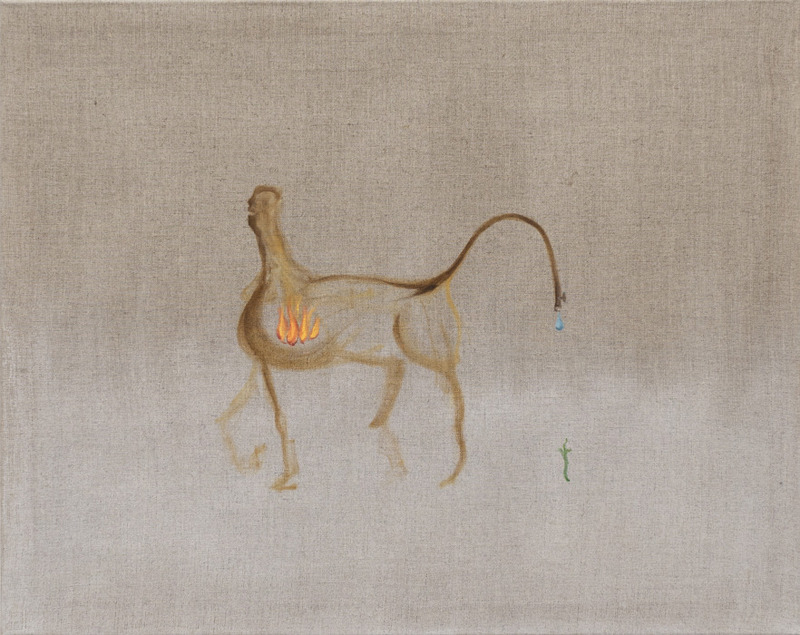 Hung deliberately low, the artworks assume a viewing height of a child, an animal or a participant of a ancient ritual. As in concentric circles around a flaming fire, toads and artworks orbit the ritual’s focal sun present in the camp fire. The booth becomes itself an unanswered prophecy, a processional ritual of interaction. From Contact Improvisation to Contact High – let’s gather together around a campfire and create waves of movement.